I am currently working on a booklet containing activities related to the nursery rhyme Jack and Jill. The activities are for all types of learners (visual, auditory, and kinesthetic). 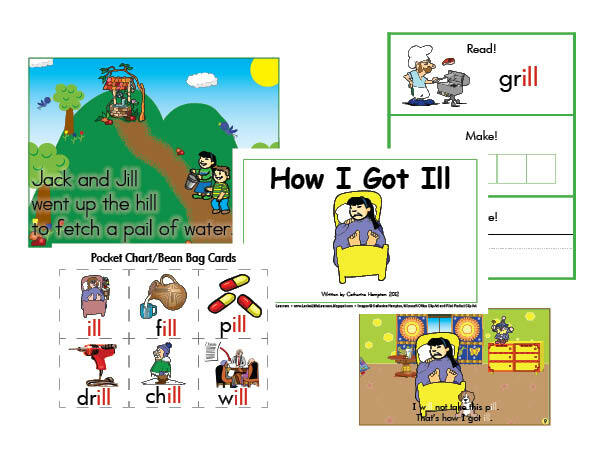 Some of the printables include: pocket chart cards, posters, ~ill rhyming words, train and caboose to rhyming words, Jack and Jill two-page poster, and many more resources to use both in the classroom and at home. Jack and Jill Resources are Finally Done!